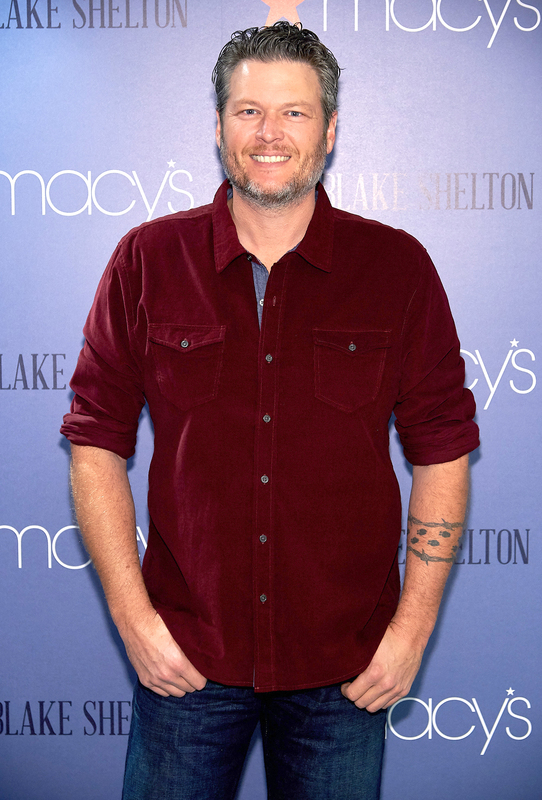 Blake Shelton Establishes Cancer Research Program at Children's Hospital in Honor of His Cousin - Integration Through Media ....! Blake Shelton is helping young cancer patients in a major way. On Monday, Oklahoma University’s Children’s Hospital Foundation announced that the country star, 42, recently established the Blake Shelton Cancer Research Program in honor of his cousin, Aspen Van Horn, who received treatment at their Jimmy Everest Center for a neuroblastoma tumor when she was only 5 months old. Neuroblastoma is a type of cancer that forms in the nerve tissue, and it is the most common cancer found in infants. According to the Children’s Hospital Foundation, Van Horn had to endure two blood transfusions, three rounds of chemotherapy and a surgical procedure to remove much of her tumor. Now, she’s getting ready to celebrate her third birthday this January thanks to her successful treatments. Shelton credits his cousin’s survival to the hospital and praised them for the work they do for children who are battling pediatric cancer. This isn’t the first time he has publicly shown his support. In 2016, the Voice coach donated $600,000 to the Jimmy Everest Center (with girlfriend Gwen Stefani by his side!) while in Oklahoma City for a concert stop. According to Oklahoma’s The Ada News, the Children’s Hospital Foundation’s board president, Chip Keating, thanked Shelton for his “support in defeating childhood cancer” while establishing the new research program. The Children’s Hospital Foundation states that in 2017, their programs supported more than 233,000 patients. All funds that are raised through the Children’s Hospital Foundation stay in Oklahoma, so that children will have access to exceptional pediatric specialists without having to leave the state. Those who would like to support the research program can do so here.